"British Racing Green & single side swinging arm. 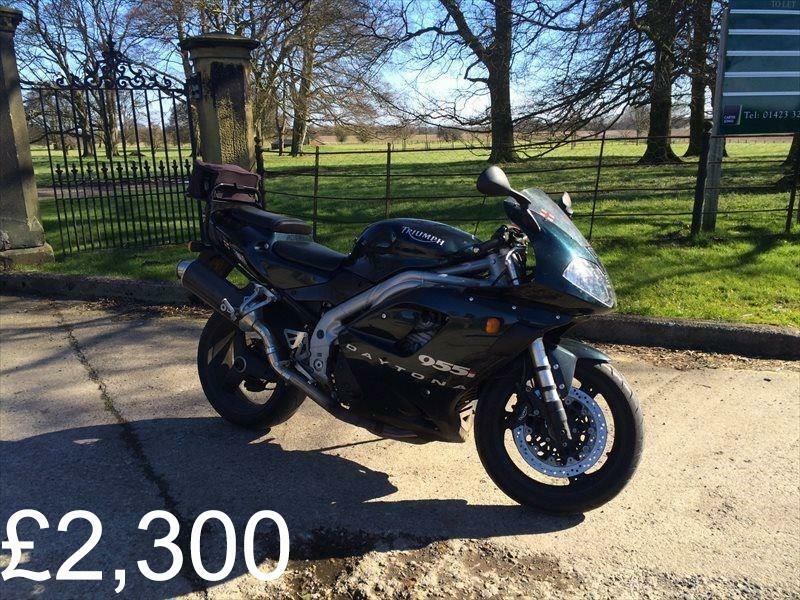 Much loved bike owned from new in May 2002 Full Service History, always Garaged and low mileage MoT June 17. New chain last year Clean body & good tyre condition. 2 sets of keys. Ventura Touring Pack fitted and included After market pipe fitted. Original included Triumph Bike cover also included A very reliable and great bike." About three years to late in a fiercely competitive class, The Triumph Daytona 955i’s saving grace is its character from its gruff three-cylinder engine and distinctive understated looks. Still a fast and sweet handling bike. This bike is on sale here for £2,300.